Portal:Technology - TerritorioScuola Enhanced Wiki Alfa - Enhanced Search with WikiPedia Using Robots to display related resources from the web to all WikiPedia words (Video/Audio, .doc, ,pdf, .ppt, maps, edu, .html). Technocriticism is a branch of critical theory devoted to the study of technological change. Health informatics (also called health care informatics, healthcare informatics, medical informatics, nursing informatics, clinical informatics, or biomedical informatics) is information engineering applied to the field of health care, essentially the management and use of patient healthcare information. It is a multidisciplinary field that uses health information technology (HIT) to improve health care via any combination of higher quality, higher efficiency (spurring lower cost and thus greater availability), and new opportunities. The disciplines involved include information science, computer science, social science, behavioral science, management science, and others. The NLM defines health informatics as "the interdisciplinary study of the design, development, adoption and application of IT-based innovations in healthcare services delivery, management and planning". It deals with the resources, devices, and methods required to optimize the acquisition, storage, retrieval, and use of information in health and bio-medicine. Health informatics tools include computers, clinical guidelines, formal medical terminologies, and information and communication systems, among others. It is applied to the areas of nursing, clinical medicine, dentistry, pharmacy, public health, occupational therapy, physical therapy, biomedical research, and alternative medicine,[unreliable medical source?] all of which are designed to improve the overall of effectiveness of patient care delivery by ensuring that the data generated is of a high quality. 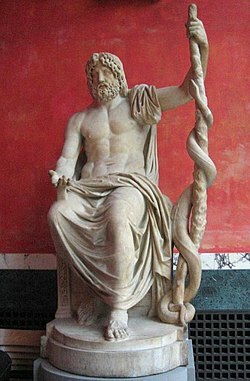 The history of technology is the history of the invention of tools and techniques and is one of the categories of the history of humanity. Technology can refer to methods ranging from as simple as stone tools to the complex genetic engineering and information technology that has emerged since the 1980s. The term technology comes from the Greek word techne, meaning art and craft, and the word logos, meaning word and speech. It was first used to describe applied arts, but it is now used to described advancements and changes which affect the environment around us. Applied science is the application of existing scientific knowledge to practical applications, like technology or inventions. Technology transfer, also called transfer of technology (TOT), is the process of transferring (disseminating) technology from the places and ingroups of its origination to wider distribution among more people and places. It occurs along various axes: among universities, from universities to businesses, from large businesses to smaller ones, from governments to businesses, across borders, both formally and informally, and both openly and surreptitiously. 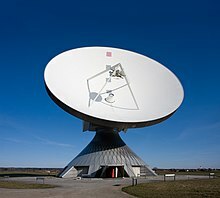 Often it occurs by concerted effort to share skills, knowledge, technologies, methods of manufacturing, samples of manufacturing, and facilities among governments or universities and other institutions to ensure that scientific and technological developments are accessible to a wider range of users who can then further develop and exploit the technology into new products, processes, applications, materials, or services. It is closely related to (and may arguably be considered a subset of) knowledge transfer. Horizontal transfer is the movement of technologies from one area to another. At present transfer of technology (TOT) is primarily horizontal. Vertical transfer occurs when technologies are moved from applied research centers to research and development departments. 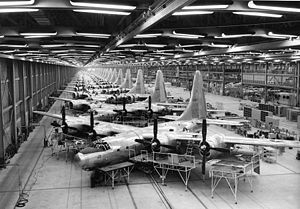 Mass production of Consolidated B-32 Dominator airplanes at Consolidated Aircraft Plant No. 4, near Fort Worth, Texas, during World War II. Mass production, also known as flow production or continuous production, is the production of large amounts of standardized products, including and especially on assembly lines. Together with job production and batch production, it is one of the three main production methods. The precautionary principle (or precautionary approach) generally defines actions on issues considered to be uncertain, for instance applied in assessing risk management. The principle is used by policy makers to justify discretionary decisions in situations where there is the possibility of harm from making a certain decision (e.g. 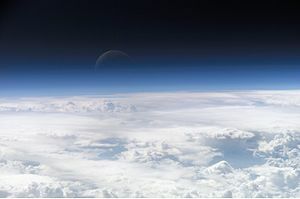 taking a particular course of action) when extensive scientific knowledge on the matter is lacking. The principle implies that there is a social responsibility to protect the public from exposure to harm, when scientific investigation has found a plausible risk. These protections can be relaxed only if further scientific findings emerge that provide sound evidence that no harm will result. 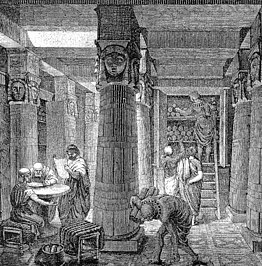 The Library of Alexandria, an early form of information storage and retrieval. Nanotechnology ("nanotech") is manipulation of matter on an atomic, molecular, and supramolecular scale. The earliest, widespread description of nanotechnology referred to the particular technological goal of precisely manipulating atoms and molecules for fabrication of macroscale products, also now referred to as molecular nanotechnology. A more generalized description of nanotechnology was subsequently established by the National Nanotechnology Initiative, which defines nanotechnology as the manipulation of matter with at least one dimension sized from 1 to 100 nanometers. This definition reflects the fact that quantum mechanical effects are important at this quantum-realm scale, and so the definition shifted from a particular technological goal to a research category inclusive of all types of research and technologies that deal with the special properties of matter which occur below the given size threshold. It is therefore common to see the plural form "nanotechnologies" as well as "nanoscale technologies" to refer to the broad range of research and applications whose common trait is size. Because of the variety of potential applications (including industrial and military), governments have invested billions of dollars in nanotechnology research. Through 2012, the USA has invested $3.7 billion using its National Nanotechnology Initiative, the European Union has invested $1.2 billion, and Japan has invested $750 million. Transport or transportation is the movement of humans, animals and goods from one location to another. In other words the action of transport is defined as a particular movement of an organism or thing from a point A to the Point B. Modes of transport include air, land (rail and road), water, cable, pipeline and space. The field can be divided into infrastructure, vehicles and operations. Transport is important because it enables trade between people, which is essential for the development of civilizations. An aircraft is a machine that is able to fly by gaining support from the air. It counters the force of gravity by using either static lift or by using the dynamic lift of an airfoil, or in a few cases the downward thrust from jet engines. Common examples of aircraft include airplanes, helicopters, airships (including blimps), gliders, and hot air balloons. Bitcoin (₿) is a cryptocurrency, a form of electronic cash. It is a decentralized digital currency without a central bank or single administrator that can be sent from user to user on the peer-to-peer bitcoin network without the need for intermediaries. Dry ice is the solid form of carbon dioxide. It is used primarily as a cooling agent. Its advantages include lower temperature than that of water ice and not leaving any residue (other than incidental frost from moisture in the atmosphere). It is useful for preserving frozen foods where mechanical cooling is unavailable. In microelectronics, a three-dimensional integrated circuit (3D IC) is an integrated circuit manufactured by stacking silicon wafers or dies and interconnecting them vertically using, for instance, through-silicon vias (TSVs) or Cu-Cu connections, so that they behave as a single device to achieve performance improvements at reduced power and smaller footprint than conventional two dimensional processes. 3D IC is just one of a host of 3D integration schemes that exploit the z-direction to achieve electrical performance benefits. Energy harvesting (also known as power harvesting or energy scavenging or ambient power) is the process by which energy is derived from external sources (e.g., solar power, thermal energy, wind energy, salinity gradients, and kinetic energy, also known as ambient energy), captured, and stored for small, wireless autonomous devices, like those used in wearable electronics and wireless sensor networks. An artificial brain (or artificial mind) is software and hardware with cognitive abilities similar to those of the animal or human brain. An ongoing attempt by neuroscientists to understand how the human brain works, known as cognitive neuroscience. A thought experiment in the philosophy of artificial intelligence, demonstrating that it is possible, at least in theory, to create a machine that has all the capabilities of a human being. 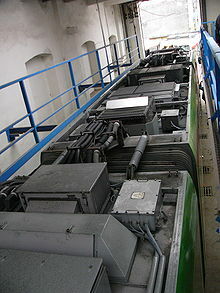 A long term project to create machines exhibiting behavior comparable to those of animals with complex central nervous system such as mammals and most particularly humans. The ultimate goal of creating a machine exhibiting human-like behavior or intelligence is sometimes called strong AI. 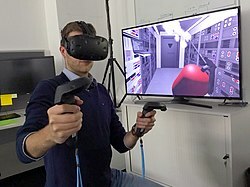 Virtual reality (VR) is an interactive computer-generated experience taking place within a simulated environment. It incorporates mainly auditory and visual feedback, but may also allow other types of sensory feedback. This immersive environment can be similar to the real world or it can be fantastical, to be then used for a variety of applications. 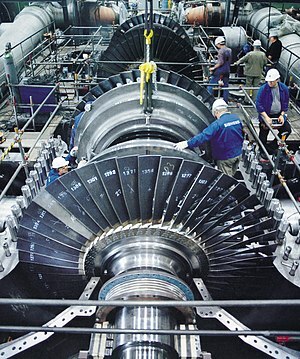 Industrial ecology (IE) is the study of material and energy flows through industrial systems. The global industrial economy can be modelled as a network of industrial processes that extract resources from the Earth and transform those resources into commodities which can be bought and sold to meet the needs of humanity. Industrial ecology seeks to quantify the material flows and document the industrial processes that make modern society function. Industrial ecologists are often concerned with the impacts that industrial activities have on the environment, with use of the planet's supply of natural resources, and with problems of waste disposal. Industrial ecology is a young but growing multidisciplinary field of research which combines aspects of engineering, economics, sociology, toxicology and the natural sciences. 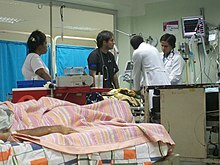 Cardiopulmonary resuscitation (CPR) being performed on a trauma patient in a hospital of Maracay, Venezuela. Like CPR, suspended animation could delay the onset of cell death (necrosis) in seriously injured or ill patients, providing them with more time to receive definitive medical treatment. Suspended animation is the inducement of a temporary cessation or decay of main body functions, including the brain, to a hypometabolic state in order to try to preserve its mental and physiological capabilities. A camera is an optical instrument to capture still images or to record moving images, which are stored in a physical medium such as in a digital system or on photographic film. A camera consists of a lens which focuses light from the scene, and a camera body which holds the image capture mechanism. The Semantic Web Stack, also known as Semantic Web Cake or Semantic Web Layer Cake, illustrates the architecture of the Semantic Web. 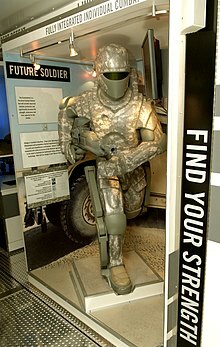 An autonomous robot, or automatic robot, is a robot that performs behaviors or tasks with a high degree of autonomy. Autonomous robotics is usually considered to be a subfield of artificial intelligence, robotics, and information engineering. Early versions were proposed and demonstrated by author/inventor David L. Heiserman. Microsoft HoloLens, known under development as Project Baraboo, is a pair of mixed reality smartglasses developed and manufactured by Microsoft. HoloLens was one of the first computers running the Windows Mixed Reality platform under the Windows 10 operating system. The HoloLens can trace its lineage to Kinect, an add-on for Microsoft's Xbox gaming console that was introduced in 2010. In economics, the money supply (or money stock) is the total value of monetary assets available in an economy at a specific time. There are several ways to define "money", but standard measures usually include currency in circulation and demand deposits (depositors' easily accessed assets on the books of financial institutions). The experience machine or pleasure machine is a thought experiment put forward by philosopher Robert Nozick in his 1974 book Anarchy, State, and Utopia. It is one of the best known attempts to refute ethical hedonism, and does so by imagining a choice between everyday reality and an apparently preferable simulated reality. Life extension is the idea of extending the human lifespan, either modestly – through improvements in medicine – or dramatically by increasing the maximum lifespan beyond its generally settled limit of 125 years. The ability to achieve such dramatic changes, however, does not currently exist. Transmission electron micrograph of an adult stem cell displaying typical ultrastructural characteristics. Stem cells are cells that can differentiate into other types of cells, and can also divide in self-renewal to produce more of the same type of stem cells. ... that Susannah Fox, the U.S. government's former chief health technology executive, cited the maker movement as a promising source of future healthcare innovation? ... that the English physicist and television technology developer Boris Townsend described colour television as a "judicious combination of human imperfections and clever technical solutions"? Anthony R. "Tony" Barringer (October 20, 1925 – August 15, 2009) was a Canadian/American geophysicist. He made numerous contributions to mineral exploration technology. His most famous work was the development of the INPUT airborne electromagnetic system, which has been credited in the discovery of tens of billions of dollars' worth of ore deposits. Antonio Benedetto Carpano (1764, Bioglio (Biella) - 1815, Turin) was an Italian distiller, famous for having invented vermouth and consequently the apéritif. 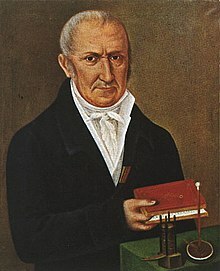 Alessandro Giuseppe Antonio Anastasio Volta (Italian: [alesˈsandro ˈvɔlta]; 18 February 1745 – 5 March 1827) was an Italian physicist, chemist, and a pioneer of electricity and power, who is credited as the inventor of the electric battery and the discoverer of methane. 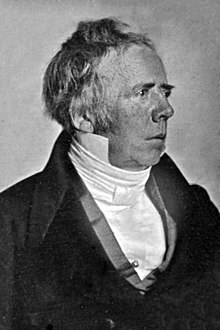 He invented the Voltaic pile in 1799, and reported the results of his experiments in 1800 in a two-part letter to the President of the Royal Society. With this invention Volta proved that electricity could be generated chemically and debunked the prevalent theory that electricity was generated solely by living beings. Volta's invention sparked a great amount of scientific excitement and led others to conduct similar experiments which eventually led to the development of the field of electrochemistry. Charles Henry Dow (/daʊ/; November 6, 1851 – December 4, 1902) was an American journalist who co-founded Dow Jones & Company with Edward Jones and Charles Bergstresser. 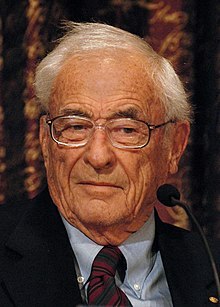 Richard Wesley Hamming (Chicago, Illinois, February 11, 1915 – Monterey, California, January 7, 1998) was an American mathematician whose work had many implications for computer engineering and telecommunications. His contributions include the Hamming code (which makes use of a Hamming matrix), the Hamming window, Hamming numbers, sphere-packing (or Hamming bound), and the Hamming distance. Franc Trkman (1903-1978) was an inventor and entrepreneur. Dmitri Z. Garbuzov (October 27, 1940, Sverdlovsk (Yekaterinburg) – August 20, 2006, Princeton, New Jersey) was one of the pioneers and inventors of room temperature continuous-wave-operating diode lasers and high-power diode lasers. 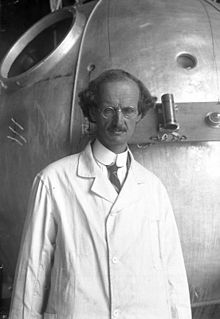 Auguste Antoine Piccard (28 January 1884 – 24 March 1962) was a Swiss physicist, inventor and explorer, known for his record-breaking helium-filled balloon flights, with which he studied the Earth's upper atmosphere. Auguste was also known for his invention of the first bathyscaphe, FNRS-2, with which he made a number of unmanned dives in 1948 to explore the ocean's depths. Alexander Nikolayevich Lodygin (Russian: Александр Николаевич Лодыгин; 18 October 1847 – 16 March 1923) was a Russian electrical engineer and inventor, one of inventors of the incandescent light bulb. Kazuo Hashimoto (橋本 和芙, Hashimoto Kazuo, died August 1995) was a Japanese inventor who registered over 1,000 patents throughout the world, including patents for Caller-ID system and telephone answering machine. He patented his first telephone answering machine, the Ansa Fone, in Japan in 1954, followed by the United States in 1960. He patented Caller-ID in Japan in 1976, and received a United States patent in 1980. In 1983 he invented a digital telephone answering device. Chester Floyd Carlson (February 8, 1906 – September 19, 1968) was an American physicist, inventor, and patent attorney born in Seattle, Washington.